(November 28, 2018 - Springfield Township, Ohio) Public Works crews have been collecting fallen tree limbs affected by the November 15th ice storm in Springfield Township. Residents who stacked their limbs at the curb by the deadline of Monday, November 26 will have their limbs collected. 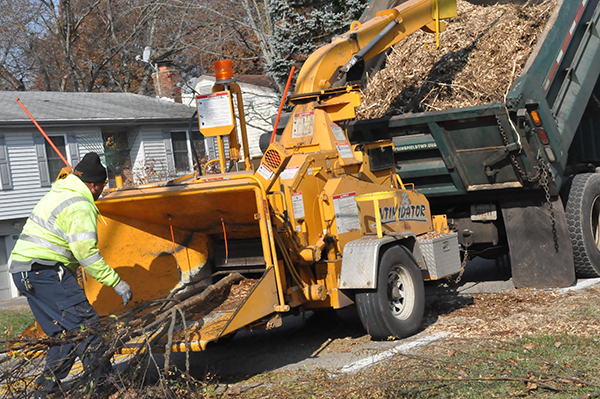 Due to the volume of debris and the number of streets affected in Springfield Township, this process is likely to take up to three additional weeks. It is expected that all work will be complete by December 24th. Please note that other yard waste, including leaf piles, brush, stumps, roots, etc., will not be collected. Large piles of brush stacked by a contractor will also not be accepted. Piles left after the deadline will not be collected. Thank for your continued patience and understanding of the above referenced removal criteria as we work to clear the downed limbs/branches. Please contact the Township Director of Infrastructure and Development, Michael Gould, at 513-522-4004 or mgould@springfieldtwp.org if you should have any questions.